Is it a sign or just being nice? Does this mean that stopping the wedding madness to make the Boy cookies for his baseball tournament this weekend is a sign that I should become a professional baker? They were delicious by the way. 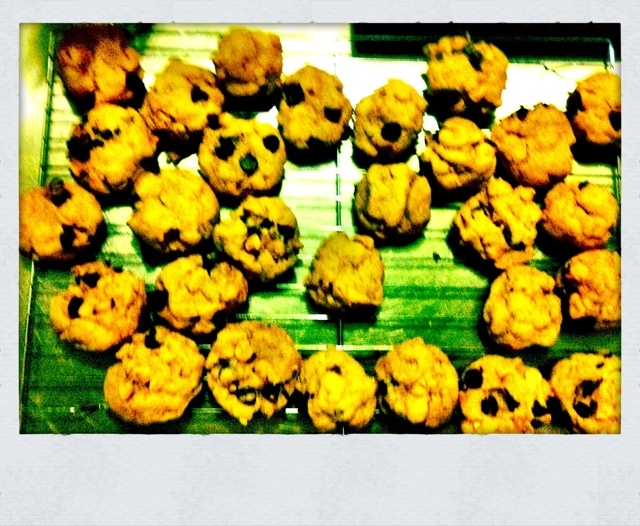 Mama Pea’s Peanut Butter Chocolate Chip Dough Balls. I’m determined to cook my way through The Book… maybe I’ll take some time to tell you about it in about 15 days.